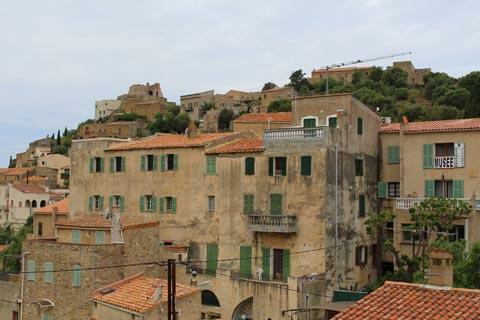 Corbara is a village in the Balagne region of north-west Corsica, close to the coast and a few kilometres south-west of l'Ile-Rousse. 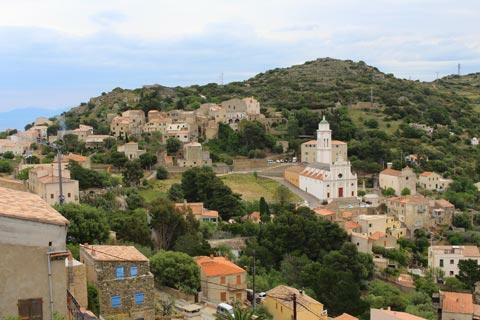 It is one of the first villages you will reach as part of your tour of the Balagne - otherwise you can visit as you drive along the coast road, it is only a couple of kilometres detour and well worth the effort. 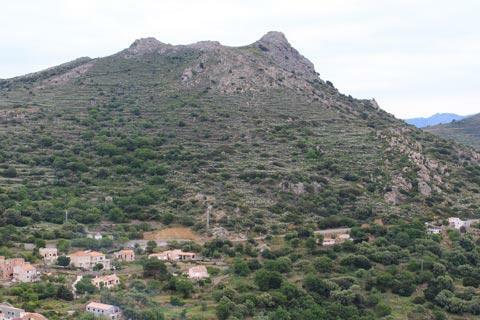 Corbara is really more of a group of hamlets and small villages spread across the landscape than one single village, but most can easily be reached on foot if you park in the main part of the village. Stroll through the village to reach the open belvedere in front of the pastel pink church. This is the baroque style Church of the Annunciation, built betweeen 1641 and 1751 and includes an impressive altar made with marble from a nearby quarry in the 18th century. 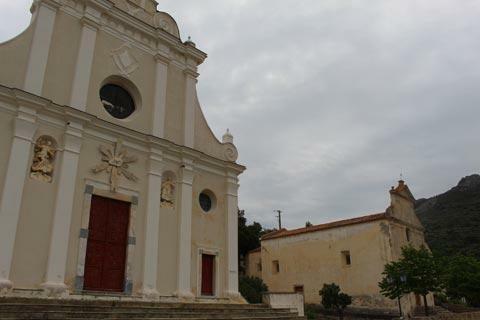 There are several other small churches and chapels in Corbara, and as you follow the streets through the village you will notice the signs to the Chapelle de Notre-Dame des Sept Douleurs. This involves a walk up the hill but its location and views make it worthwhile. 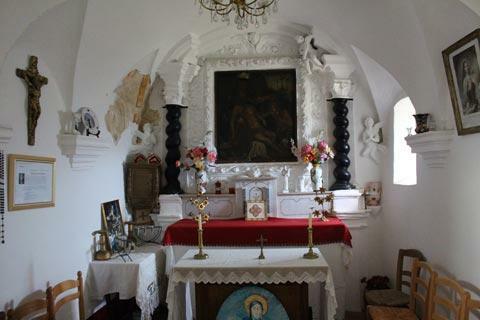 This chapel was built in the 18th century on the site of a 14th century fort. 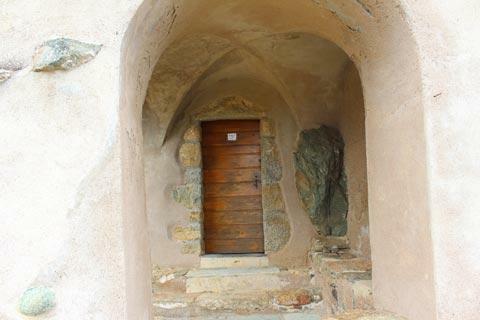 Step inside, it is a tiny chapel that can only seat about 20 people on four simple wooden benches, and also contains a 15th century statue of the Virgin and Child. Outside the chapel there are views along the coast as well as back across the village of Corbara. 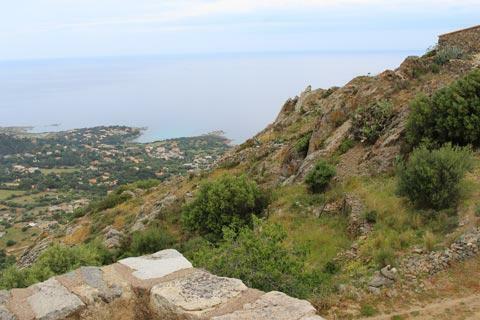 It is said that Pascal Paolo, 18th century leader of the movement for an independent Corsica, stood in this spot when he was deciding where to base a new town to compete with Calvi, the town that was later to become l'Ile-Rousse. 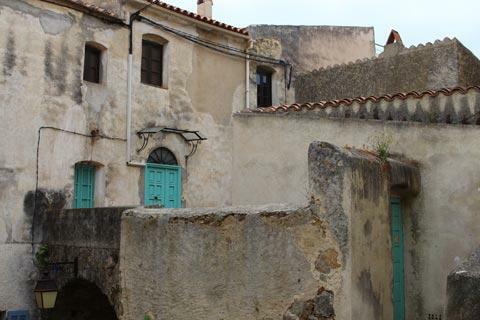 There are several alleys that lead back to the centre of the village from here, with a chance to see more of the small traditional houses. Elsewhere in and around the hamlets of Corbora there are several more small churches and chapels including the Chapel Notre-Dame de Mazio near the Convent of Saint-Dominic, the Chapel of Saint-Cyprien, the Chapel of Saints Peter and Paul just outside the village and the Chapel if Saint-Jacques next to the ruins of the castle. There are also two small museums in Corbara: the Museum of Religious Art which is part of the Church of the Annunciation, and the Museum of Art and Ancent History which is on the street just across from the main church and is a private museum with an eclectic and varied selection of local objects. 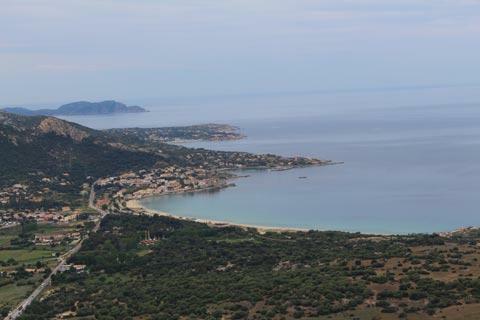 On the coast nearby you will find a long sandy beach at Algajola. Further but more unusual you will enjoy a visit to Ostriconi beach, near Ogliastro and about 15 kilometres north-east of Corbara. 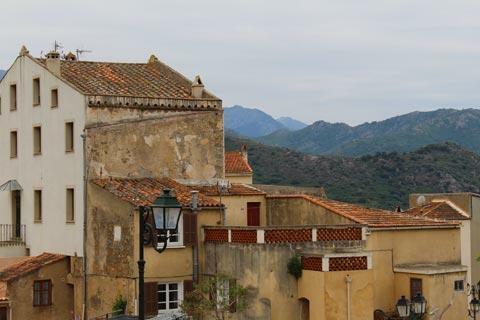 Calvi is a very popular seaside resort, and l'Ile-Rousse also attracts many visitors. 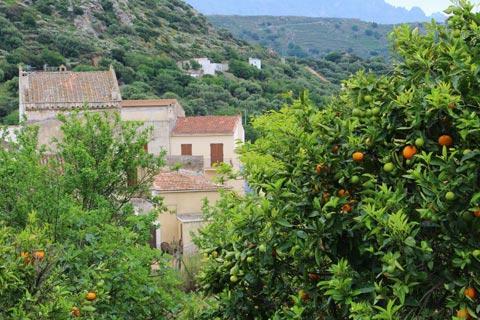 If you are touring the Balagne villages continue south on the D151 to reach Pigna before continuing on to Sant'Antonino, one of the most beautiful villages in Corsica.